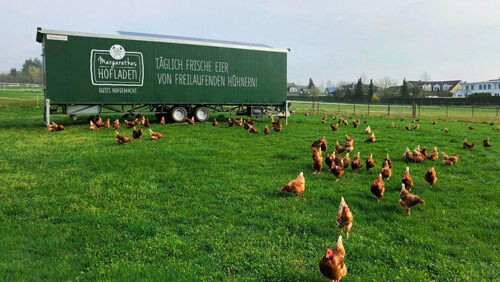 As a trusted partner to the agricultural industry, farmermobil® manufactures mobile poultry housings, geared towards daily use in layer and broiler farming. We have models to meet all your needs for both organic and conventional housing systems. farmermobil® has combined decades of experience in plant and vehicle construction with a series of innovations to create a species-appropriate, fully automatic mobile animal housing system. 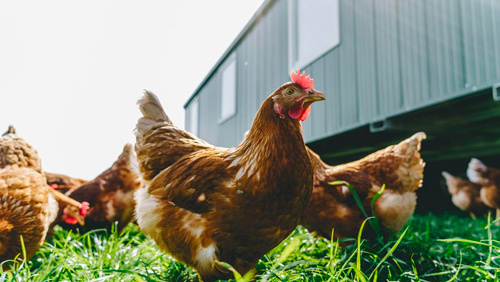 Our goal: to give farmers more time to devote to their animals and animal welfare by minimising the time spent on routine housing-related activities. Our customers’ wishes inspire us to continually develop and improve our products. Please contact us for more information, free of any obligation. We look forward to hearing from you! Finally! We proudly present our new STARTER-max mobile barn for 300 organic or 450 conventional layers. Learn more about the STARTER-max! 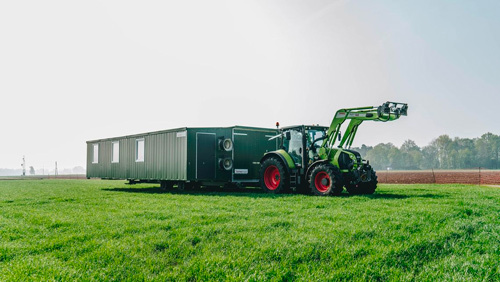 All farmermobil® mobile housing systems are especially constructed and fully equipped to enable self-sufficient operation. Storage tanks in the vehicle supply feed and water thanks to their construction and equipment. Each mobile housing runs on 24V. Batteries in the vehicle supply the power for the lighting, for the automatic opening and closing of the outdoor access flaps and tilting floor nests, and for operating the ventilation and feeding equipment. They are charged by 230V or, alternatively, via a photovoltaic system. All All farmermobil® mobile units are provided with a World Manufacturer Identifier (WMI) and some units can be licensed for road use as trailers. With our delivery the farmermobil® barns are immediately ready for use since they are delivered completely assembled. Its own state-of-the-art computer operates each mobile housing system fully automatically. For the safety of your birds the computer automatically sends a text message to the farmer's phone. Alternatively, the mobile unit can also be monitored and controlled via a WLAN. The mobile housing system offers benefits to both its human and animal users! The high degree of automation gives farmers more time to devote to their animals and to optimise animal welfare. And after all, it’s only healthy and happy birds can be raised properly from day old chicks to an adult bird, to lay optimum quality eggs or grow to a proper boiler. 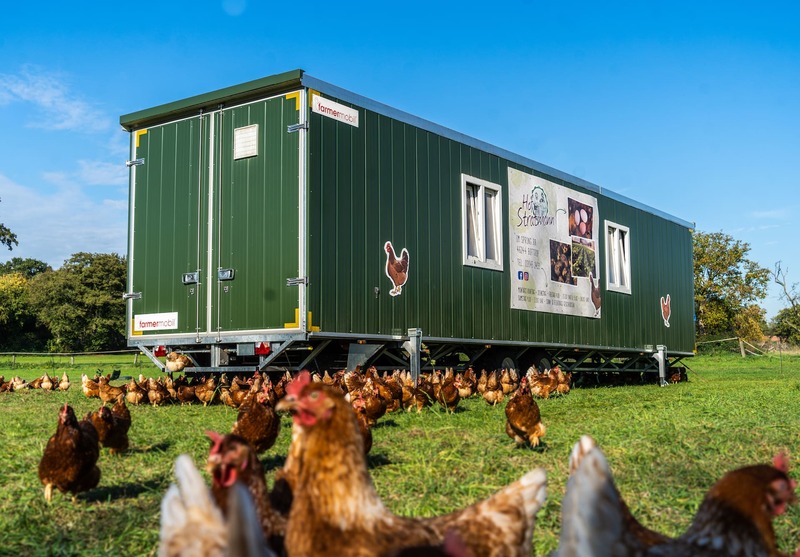 The farmermobil® mobile poultry housing systems offer completely new options for animal welfare to both newcomers to the sector as well as experienced poultry farmers. Our mobile barns for rearing birds, laying hens and broiler offers unique advantages over conventional free-range houses. Since they are constructed as real vehicles, the housing systems are fully mobile, making them easy to move and flexible to use. Consequently, the existing grazing areas can be used optimally and the excessive input of nutrients via the manure into the soil can be avoided. All of this contributes to higher levels of hygiene and animal health.